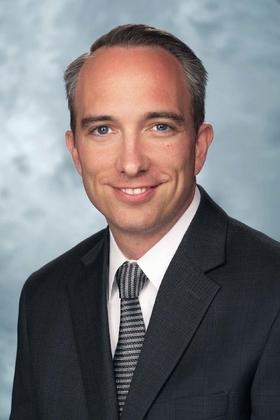 Greg Till is group vice president and chief talent officer at Providence St. Joseph Health, Renton, Wash. If there was one thing we could focus on at our healthcare organizations that is guaranteed to decrease patient mortality, lessen costs and malpractice claims, tamp down staff attrition, and improve productivity and satisfaction scores, would we do it? How much time, energy and money would we be willing to spend? I am guessing a lot. The solution, it turns out, is relatively simple: Improve your caregivers' experience. While it seems intuitive, we continue to fall into the cycle of intellectually agreeing that caregivers are important but doing little to invest in them. According to a survey of 300 hospital executives published last year by the Economist, the most critical issue facing our industry is attracting and retaining the best talent. Yet when asked to prioritize the most pressing issues at their own institutions, attracting and retaining talent came out second to last on a list of 15 imperatives. This prioritization is surprising, given our aging healthcare workforce, low unemployment and stagnant engagement levels in healthcare that have resulted in the most competitive labor market in the past 20 years. And it is only going to get worse as the need for care increases while the talent pool shrinks. This may be further exacerbated by new administration policies limiting work visas for qualified healthcare professionals. According to the Wall Street Journal, healthcare positions are taking 70% longer to fill and Advisory Board benchmarks show registered nurse vacancy rates have risen 72% and agency labor spending has increased 45% in the past two years. This environment is having a detrimental effect on our workforce: 51% of nurses say their job is affecting their health and 35% say they feel like resigning. It is even worse for physicians. Most leaders acknowledge these challenges, yet there has been relatively little attention paid to solving them. How can there be such a significant disconnect? One reason might be a fundamental flaw in the way we measure success: The Triple Aim. While everyone would agree patient experience, health outcomes and cost are critical, collectively these measures ignore the primary driver of value and cost: our caregivers. As healthcare professionals, we are not only obliged to care for our providers, it makes good business sense. There is plentiful research showing more engaged caregivers offer a better patient experience, receive higher HCAHPS scores, and increase patient referrals. High engagement is also associated with lower infection rates, lower complication indices and even lower mortality. Some have recently suggested we add a fourth aim, focusing on provider burnout or caregiver experience, measured by joy and meaning in work. I agree but propose we should be defining our caregivers' experience more broadly and investing appropriately to achieve better results. Experience drivers are table stakes. They include fair pay, access to appropriate tools and resources, and a safe work environment. Experience differentiators can set your organization apart. They include connection to an inspiring mission and vision; values that embrace love and compassion; a voice in decisionmaking and work processes; professional development and growth; recognition; and a supportive, caring environment that encourages well-being. By investing in these elements, Providence has dramatically improved our talent outcomes in the past two years, including dramatic increases in engagement and significant reductions in turnover, time to fill, vacancy and agency spending. Our industry is faced with change and challenges on almost every front. We have rightly dedicated a lot of time, attention and resources to ensuring we look for innovative solutions to drive the best experience, outcomes and cost for our patients. However, we must not lose sight of two critical challenges: The availability and engagement of our workforce. If we do, we will fail to deliver on our real promise of building healthier communities together. Isn't it time for all of us to aim higher?